Heavyweight crowd-pleaser Chris Arreola will reportedly return to action on the big (and still growing) Deontay Wilder-Tyson Fury card at The Staples Centre in Los Angeles on December 1st, and according to a report from ESPN.com another all-action warrior with a strong fan-base will make a comeback on the card. 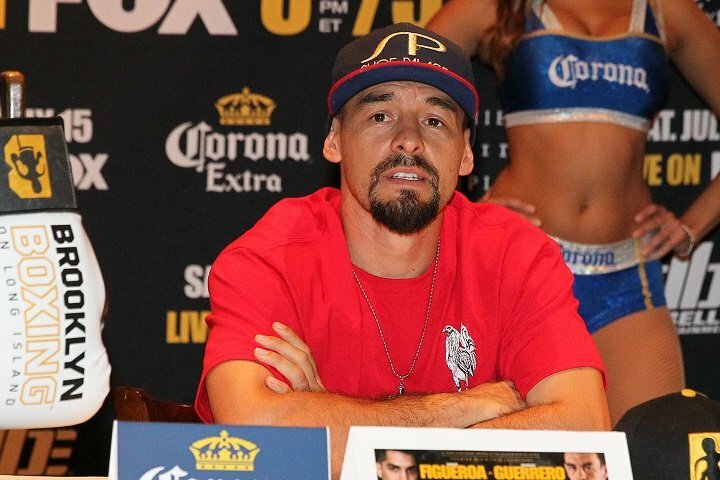 Robert Guerrero, a former world champion at feather, super-feather and lightweight, has not been out of action as long as Arreola has; “The Ghost” last appearing in July of last year (Arreola last fought in July of 2016, losing to Wilder) – but many will no doubt raise an eyebrow over the welterweight’s return. Having had plenty of tough fights, a number of them being wars, 35 year old Guerrero actually announced he was done after his last fight – a five knockdown hammering by Omar Figueroa. The third-round loss marked the first and only time Guerrero has ever been stopped and his decision to call it quits was widely applauded as a smart move. But, as the saying goes; they all come back, and here is Guerrero set to fight again just 17 months after announcing his retirement. Who knows where it might lead, but with today’s welterweight division being as talent-rich and competitive as it it seems almost impossible Guerrero, 33-6-1(18) will win a major belt again. Maybe Guerrero needs the money, maybe he just doesn’t know what else to do but fight and maybe he cannot, (forgive the pun) give up the ghost. Fans will of course be rooting for Guerrero and these fans will hope his comeback proves to be a successful one. A fine warrior in his day, Guerrero thrilled us all with his superb efforts against the likes of Andre Berto, Yoshihiro Kamagai, Michael Katsidis and others. Guerrero also fought Floyd Mayweather (losing a wide decision) and Keith Thurman (a tough 12 rounds for Guerrero). Reportedly Guerrero has been back in training for more than a month and, like Arreola, will fight on the non-TV portion of the December 1st under-card. Guerrero has lost his last three bouts. We wish him well.